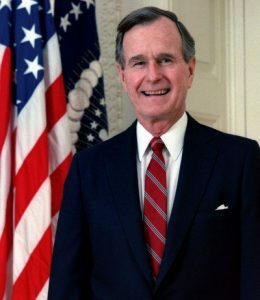 Lest we forget, one day before the 9/11 attacks [as well as on the morning of 9/11, the dad of the sitting President of the United States of America, George Herbert Walker Bush was meeting none other than Shafiq bin Laden, the brother of the alleged terror mastermind Osama bin Laden. It was a routine business meeting on September 10-11, no conflict of interest, no relationship to the 9/11 attacks which allegedly were carried out on the orders of Shafiq’s brother Osama, no FBI investigation into the links between the Bush and bin Laden families. What is presented below is a factual account. Confirmed by the Washington Post, “fellow investors” of the Carlyle Group including Osama’s brother Shafiq bin Laden and Dubya’s dad former President George H. W. Bush met in the plush surroundings of New York’s Ritz-Carlton Hotel on September 10-11, 2001. Their business encounter under the auspices of the Carlyle Group was unfortunately interrupted on September 11 by the 9/11 attacks. A timely business meeting on September 10-11 at the Ritz Carlton with Osama’s brother disrupted by the 9/11 attacks: pure coincidence, totally unrelated to the 9/11 attacks. What was GWB’s Dad “Poppy” doing with Osama’s brother Shafiq on September 10? Media coverup: the WP report came out 18 months later in March 2003. There was no media coverage of the Shafiq bin Laden – G. Herbert W. Bush meeting in September 2001. The event was known, yet mainstream media editors decided not to provide coverage of this timely 9/11 encounter at the Ritz Carleton. Let’s be clear as to what happened: the dad of the sitting president of the US was “harboring” (to use GWB’s expression) the brother of the alleged terror mastermind of the 9/11 attacks.